This (not so)accidentally entered my collection today. 55.5 TT, thumping big HT, fits like a charm. got a ripping good deal on it off a mate who got a ripping good deal on it to begin with. miche gruppo. 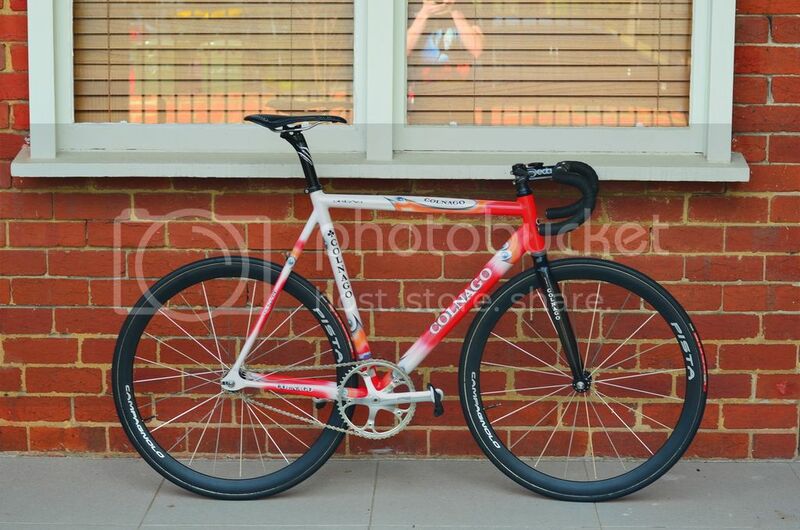 i’ve actually bought/traded for it sans wheels, i reckon i’ll do a bit of switching and put my newer record group onto this and put my older wheels/bits on the super pista. going to ride the crap out of it on christmas day. 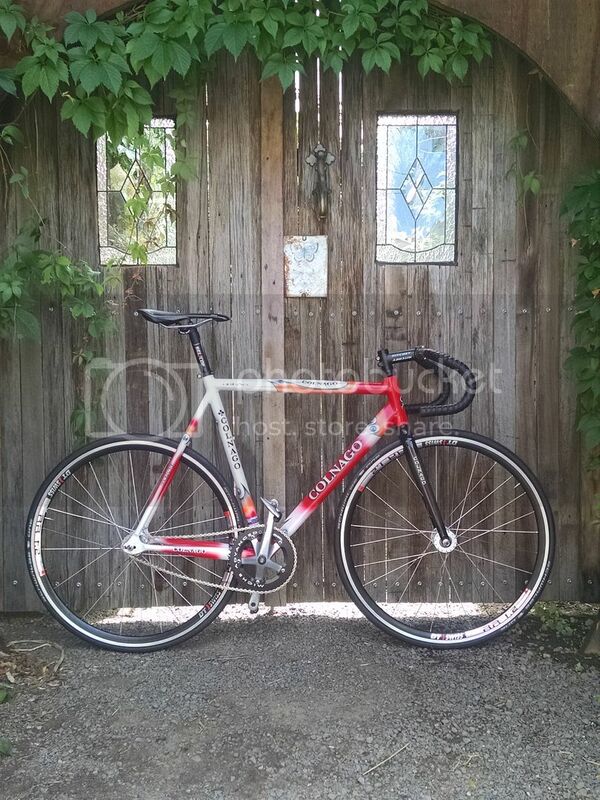 For me, would look better with ergo/road drops, but personal tastes etc. Nice stocking stuffer! 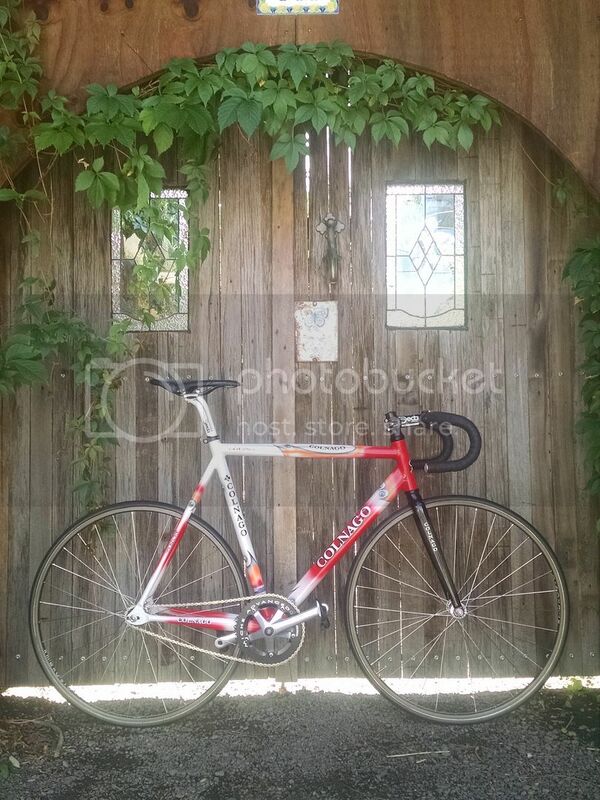 So strange, I was just Googling Colnago track frames the other day wondering if there were any decent ones out there and here it is. Looking forward to some pics when you have made your tweaks. Those items can stay back in 2007, we don’t need them for #SOTB. 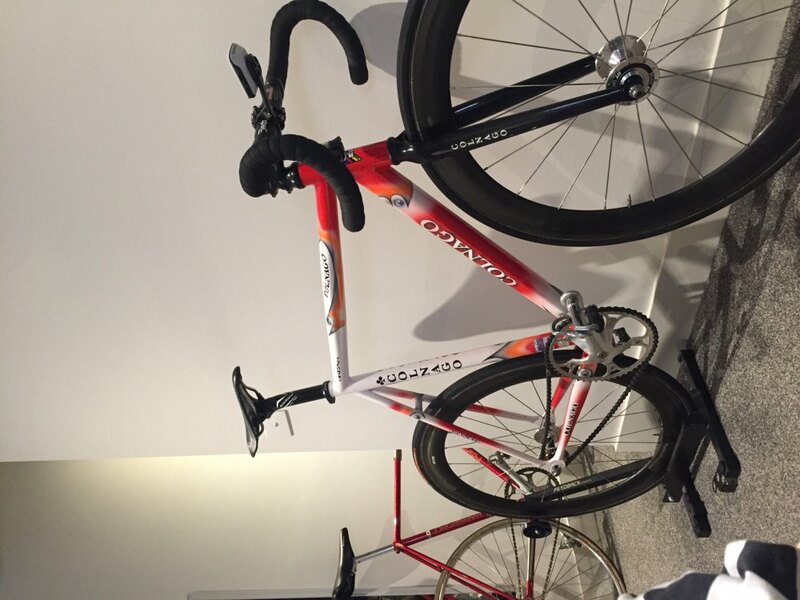 Great Colnago, look forward to seeing it with the newer groupset. Whacked some things on. Rode it. Goes fast. Good. I’m not upset that you forced us to tilt our heads.